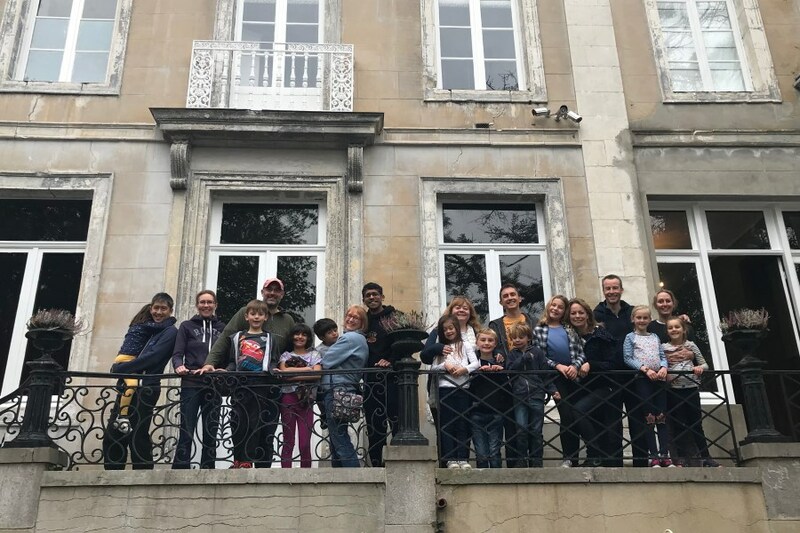 Kerry came for half-term in October 2018 with quite a crowd! Thank you, Kerry. We really hope to see you again too. 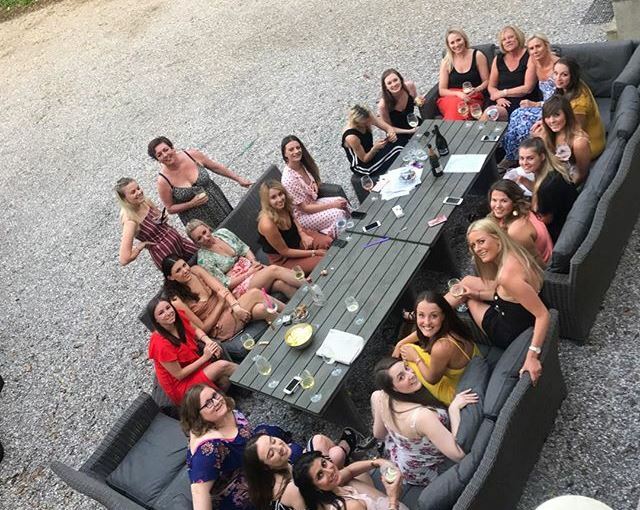 Congratulations to Emma and thank you so much for choosing us for your Hen Party. There’s a review from Emma’s friend Izzy below. I came across this chateau whilst planning a hen do for my friend and immediately thought ‘this is the venue’! We had been looking at houses in the UK which were all much more expensive and far less impressive. Amanda was really helpful throughout the booking and helped with suggestions and quotes for things to do in the local area. Plus, she introduced us to an amazing chef that they’d used before who was a huge hit with all the guests. The bedrooms were all huge and comfortable, and there was so much to explore. Everyone was truly blown away with the chateau and we all thoroughly enjoyed our stay. Another massive bonus is it couldn’t have been easier to get to from the tunnel — literally 30 min drive which was perfect. I’ve had loads of people asking me for the details since seeing all the pictures from the weekend! Needless to say the hen was very happy. Thank you Christopher! It was great having you all to stay and thank you for choosing us. See you next year! Amazing place — would recommend to anyone looking for a high end, beautiful place to stay. Owners couldn't have done more for us. Very well placed and kitted out. We stayed for a Birthday surprise with family and friends — all said how wonderful it was. Thanks. The Chateau is convenient for Le Shuttle and set in lovely countryside close to many interesting places and not too far from the sea. However you don't really need to go anywhere, it has everything you need. It is beautifully restored and is very comfortable with high quality furnishings and fittings. The attention to detail is excellent with all kinds of activities and games available gratis. These include tennis courts and mountain biking, a snooker room and lots of games and play equipment including a large indoor trampoline. The outdoor space is huge and very beautiful. There is a lovely terrace with comfortable outdoor seating and a top end barbecue. The kitchen is wonderfully well equipped and there is a super laundry room. There is an impressive large dining table in the dining room, the owner arranged caterers for my birthday dinner and they were first rate. We went for my 60th birthday, a marvellous surprise party with family and friends including several children. It was a brilliant week we couldn't have been happier. It is reasonably priced given the number it sleeps. It would be good for events and courses as well as holidays. Not enough superlatives for this place. Well done to all concerned. Beautiful property that is true to its advertising. Kitchen is well stocked which we appreciated as we enjoyed cooking and relaxing at the castle more than anything on our trip. Even used the marvellous new tennis court. Great location for large group. Just had a week here with family and friends including 8 children and it was fantastic. Kids had a wonderful time running round the house and gardens in bare feet in complete safety. House is incredible with lots of hidden nooks and crannies to explore. Extremely comfortable rooms with en suites and playrooms for children with games, toys and the favourite indoor trampoline which they had a sleepover on. Kitchen is huge and wants for nothing. Two fridges for the beer and vino and every utensil you can think of. If you need to do laundry it's covered with three washing machines and three driers in the basement. Dining room is spectacular as are the other three wood-panelled rooms downstairs which includes a library with full entertainment system on the wall. Look out for the dragons, skulls and faces carved into the woodwork. Outside on the patio, comfortable outdoor furniture with a large gas BBQ allows you to enjoy the substantial garden right into the evening while the kids play on the bikes or on the lawns. There are outdoor toys stored near the laundry which include tennis racquets, boules, badminton set etc. A river runs through the garden which is safely fenced off and over the wooden bridge are wilder fields and a tennis court which looks brand new. The area is full of history and especially for WWII buffs as it was the location of a V2 bomb factory which you can visit as it is now a museum. Everyone of us enjoyed it and we highly recommend it for families as well as more corporate events. Can't wait to return and our nieces and nephews have made us promise to take them back. Treat yourself to a stay as Lords of the manor (Chateau) — you won't be disappointed. What a beautiful venue and so easily accessible from the Eurostar. We used the Chateau as a base for our training weekend and could not think of anywhere more suitable. I was part of the USR team that stayed at the chateau which suited our needs and so much more. The building, the grounds and facilities are outstanding. Will be back next year for sure. We were part of the Unity Support Riders group that stayed there recently, superb place to stay, hoping we get to go back there next year for our group event. Amanda and Dan, you have an amazing place. Wow! Fantastic chateau, recently restored to a fabulous standard. We had such a lovely time there celebrating a friend's birthday. It's perfect for large groups and has everything that you'd need for a great stay. Beautiful chateau very close to Calais. Beautifully restored and tastefully redecorated. Very comfy beds and all with en suite bathrooms. This place is perfect for large groups. Highly recommended. The most beautiful and relaxing chateau just 30 minutes from Calais. I came across this chateau whilst planning a hen do for my friend and immediately thought 'this is the venue'! We had been looking at houses in the UK which were all much more expensive and far less impressive. Amanda was really helpful throughout the booking and helped with suggestions and quotes for things to do in the local area. Plus, she introduced us to an amazing chef that they'd used before who was a huge hit with all the guests. The bedrooms were all huge and comfortable, and there was so much to explore. Everyone was truly blown away with the chateau and we all thoroughly enjoyed our stay. Another massive bonus is it couldn't have been easier to get to from the tunnel — literally 30 min drive which was perfect. I've had loads of people asking me for the details since seeing all the pictures from the weekend! Needless to say the hen was very happy. We stayed at Amanda's amazing chateau for a long weekend and had a brilliant time. We were getting together for our yearly trip and this was the perfect spot — easy to get to for all of us dotted around the South coast, loads of space in and out of the house to use and lots of activities to keep us busy. The house was spotlessly clean (which we were all amazed at given the size!) and the facilities were excellent. Great extra touches such as the multiple phone chargers and UK plug adaptors to use in the house. None of us wanted to leave on Sunday and all said we would love to go back so we couldn't recommend enough! Thank you Amanda! I have just returned from staying at Chateau d'Hallines with a group of friends. Very convenient from SW London (just under 4 hours using Eurotunnel). A fantastic house for parties, groups of friends or large extended families. The owners seem to have thought of everything with the kitchen being particularly well equipped. We spent an afternoon in St Omer (the nearby town) but there is lots to do in and around the house including tennis, snooker, board games and it is the only house I have ever stayed in with its own trampoline room! Bedrooms are large and bright, there are numerous bathrooms and some stunning original features. I would definitely recommend and will visit again. 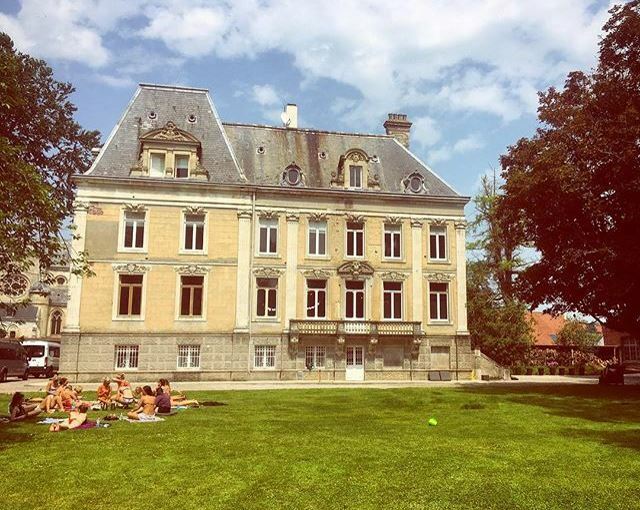 As Americans, we rarely get to go abroad and I am so happy that we had the chance to spend a long weekend at Chateau d'Hallines. While it would seem at first blush that there is not much to do, I found myself busy and content all day and night. I wish we had stayed longer so I could have had more time to lounge and read. Next trip for sure! The Chateau was perfect for a large group of adults, we had a blast having cocktails in the lounge and long dinners in the dining room. The kitchen was astounding and perfect to accommodate even late-night dance parties. To that end, you will not want for music as you can plug your iPhone into one of the many speakers on the first floor which was an added bonus. The owners of the Chateau are incredibly responsive and kind. They made our entire experience exceed all expectations. I wished they owned other venues so I could plan all my vacations with them! We were lucky enough to be taken to the chateau for our Christmas party, staying for one night. The quick journey from Kings Cross via the Eurostar coupled with the amazing facilities and stunningly restored decor made this a Christmas party that will take some beating. Chateau Hallines is beautiful but comfortable, chique but homely and just absolutely perfect for a French getaway. They have everything you need, from the basic essentials to an incredible trampoline room and roaring open fires. Chateau d'Hallines is by far the most exquisite place I have ever stayed at. The only downside is that I had to go home again. We stayed for a Christmas party and it was perfect. The building is beautiful and kept in excellent condition, with many rooms updated without losing the Chateau charm. What a stunning place, with everything you can think of — trampoline (in the house! ), table tennis, snooker table, log fires, fine dining and good company. Every bedroom has been decorated differently, with a sense of style and fun. Everything you could possibly want has been catered for and thought through to make this a party house but you can also bunker down in front of the fire, with a glass of wine and time to chat! 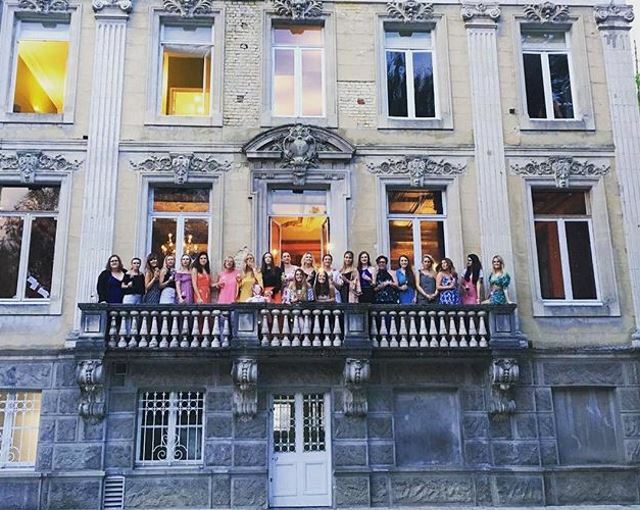 We were lucky enough to have our Christmas party at Chateau d'Hallines. The house is incredible, as is the location. Every little detail about it was perfect — from the beautiful bedrooms and bathrooms to the stunning entrance and hallway, the gorgeous sitting rooms with log fires and the very grand dining room. Let's not forget the trampoline, table tennis and pool rooms! The sunny and frosty walk around the village on the morning after just confirmed how picturesque the place is. This is just a stunning venue and I can't wait to go back again! I stayed here with my work colleagues for our Christmas party and it is simply an amazing place. The minute you drive up to this incredible chateau you know are going to have a good time. Everything about it is five star — the drawing room with the roaring fire, the huge dining room, the kitchen with simply everything you would need. Then there's the bedrooms — all entirely individual, with striking and imaginative décor, ridiculously comfortable beds (top quality linen). And the icing on the cake is perhaps the range of activities — a snooker room, a movie room, a TV room, a room with a table tennis table and table football (at the top of the house which is incredibly appointed). We did not go outside much but the tennis court is top drawer and in the summer will no doubt be used loads. So, put simply and in summary, this place does not have a downside. I got back on Saturday and have booked again for a year's time. Go there — and it will blow you away. A group of us descended on Chateau d'Hallines for a golf weekend, although perhaps stretching the definition of a weekend. It was spot on, spacious, welcoming with great facilities and well located for easy access to some excellent courses. It has a lovely mix of grandeur and charm and not at all pretentious. The food was excellent, as was the company (my golf somewhat less than excellent but I have not let that affect my judgement of the chateau!). It is also very easy to get to from London and south east England, being only 40 minutes from the Eurostar. The house is a magnificent edifice that has undergone a quite dramatic restoration and transformation. For whilst it retains all the majestic features of its former and historic glory, it is now a place fit for a modern day holiday or break. Set in beautiful and extensive grounds the Chateau offers something for everyone. We took up most of the Chateau and found the rooms very tastefully decorated and almost too comfortable to leave in the morning. However, with so much to do and see we were keen to get out and about to discover the local area. There were an abundance of high quality mountain bikes available and off we rode into the gorgeous hinterland. For those less adventurous the Chateau offers a plethora of fun activities way beyond our expectations... snooker, pool, table tennis (in the huge attic), movie room, best ever setting for hide and seek and the "piece de la resistance" is the contrived indoor Real tennis court that saw an awesome tournament worthy of a grand slam. We took the recommended caterer "Jess" for 3 out of 4 days and the food was both delicious and satisfying in its portions and presentation. All enjoyed in a truly stunning dining room which is a real feature of the Chateau. We were also pleased to find the local golf course both welcoming and of a high standard. All in all this was a truly wonderful break. This glorious building set in picturesque grounds was great for both heart and soul, so lovely to stay in, I will be returning in 2018 for my 50th Birthday. We had the most wonderful stay at Dan & Amanda's beautiful chateau. We went with a group of 23 guests over the New Year period and absolutely loved it. The house is exactly as shown in the photographs and it had everything we needed. As it was Winter, we predominantly stayed indoors but they had plenty of games and activities to keep us busy. In Summer, it would be amazing as you could utilise the outdoor area and tennis court. The kitchen is well equipped with everything and we cooked in every night and sat in the amazing dining room which seated 26 people. Each bedroom is beautifully decorated and nearly all rooms have their own ensuite. It was an easy drive from London and only 30 minutes from the tunnel. There is a nearby supermarket that we visited every day to stock up on supplies which was very easy. Amanda was incredible with communication and was prompt to reply and help us with any requests. She organised a chef for us one evening which was fantastic. We would love to return again to this beautiful Chateau. It was a fantastic holiday and we highly recommend. We had the most brilliant time at Chateau d'Hallines. 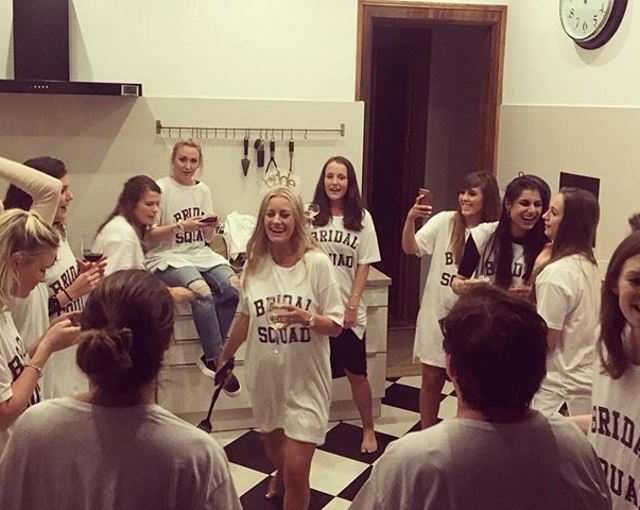 Sixteen of us went there for a golfing holiday and the house could not have been more perfect. Wonderful rooms to relax in, a large kitchen, huge dining room and two sitting rooms meant that we had plenty of room to spread out. There was a spectacular number of activities to keep us busy when we were not playing golf - table tennis, snooker, mountain bikes, and a terrific choice of movies to watch too. It was all immaculately clean, very comfortable beds, and very well equipped with everything we needed. The hosts were incredibly friendly, efficient and quick to respond. We spent a long weekend here to celebrate a friend's birthday in May and it was just great. The rooms are beautifully furnished – all the bedrooms and bathrooms have their own style. I think we had the comfiest bed I've ever slept in! The reception rooms are lovely and spacious. There are so many areas to use or chill out in - snooker room, table tennis room, mini tennis, library/cinema room, 2 sitting rooms... great for socialising or having some quiet time. We were lucky with the weather and so were able to eat outside and go on lovely bike rides using the bikes on site. We had caterers in for the weekend, which made things especially easy (and they were so lovely - highly recommended! ), but you can see how self catering would work just as well. The kitchen looked very well equipped and there are many supermarkets a short drive away plus a boulangerie 5 mins walk. Getting there was so easy, just half an hour's easy drive from the Eurotunnel. We didn't have time to get out much, but I would love to go back and visit some of the towns like St Omer and the WW sites, which look to be in striking distance. Next time! Have recently spent a week in this fabulous 5* chateau. It was an exceptional week for weather which enabled us to enjoy al fresco dining every day and marvel at the beautiful grounds, play sponge ball tennis and even fill the paddling pool. There are bikes for those energetic souls who want to explore the surrounding countryside, but a short car ride takes you into St Omer - a typical small French town, where there is a very lovely 'jardin public', with beautiful gardens, childrens playground and small animals to delight the children. 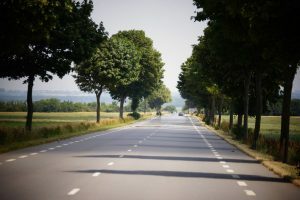 The lovely resort of Le Touquet is less than an hours car ride, which has a wonderful expanse of beach, numerous shops and restaurants and plenty to do. We also visited a local theme park - Dennlys at Dennebroeucq which is magical for children. Surprisingly, the beach at Calais was excellent, and two of our party donned their wet suits and made use of their surf boards. The local 'Intermarche' is a 5 minute drive away and the big 'Auchun' is not much further and caters for all your needs. Hallines itself is a small French village with a nice boulangerie which supplies all your breakfast needs (and afternoon tea). The chateau is very very well equipped - nothing has been left out and indeed most things are doubled up. All in all - can't speak highly enough. I don't normally write reviews but I feel compelled to do so after a wonderful long weekend at the recently opened Chateau d'Hallines. This has been boldly and brilliantly decorated and restored by Dan and Amanda to such a high standard. It is a great venue for large groups or multiple families and enables you to enjoy the local activities, food and wine. We used it as a base for golf and visited the excellent championship course at Golf D'Hardelot des Pins, and the nearby course at St Omer which has both 18 and 9 hole courses, although the 9 hole is not recommended for serious golfers. For families the chateau also has table tennis, a snooker table, a trampoline and an exclusive game of barn tennis. All in all a perfect getaway, which is easily accessible from Calais. Great location from Eurotunnel and easy to find. The chateau is great and amazing to explore. Very big so excellent for a large group. Our room was lovely. The colours are all gorgeous! The huge, modern kitchen is fab with everything you need. We stayed at the wonderful Chateau d'Hallines in May and were thoroughly impressed by the place. It was so easy to get to from south-west London taking just four hours door to door! The chateau has been renovated to a very high standard. Each of the bedrooms are individually decorated and all are ensuite which was perfect for our large party. We stayed in a beautiful room overlooking the picturesque gardens with a river running through. The kitchen is extremely modern and is kitted out with everything you need including coffee machine and kitchen aid. The two reception rooms are stunning as is the dining room. We loved the indoor table-tennis table and the snooker room which kept everyone entertained. There are also bikes you can use to ride the nearby cycle path. You need never leave the chateau! A highlight was a visit to a nearby wine cave and a trip to the market at quaint Saint Omer. We would definitely recommend Chateau d'Hallines for a large party or groups of families. Chateau d'Hallines is a beautiful house which has been very tastefully restored to its former glory. It has plenty of comfortable communal spaces to relax, watch television and socialise. The entrance hall is very grand and first impressions are that you have arrived somewhere really special (which is true). The kitchen is very well equipped for large groups including 2 enormous fridges and 2 dishwashers. Each of the bedrooms has its own character and colour scheme and are all really large with en-suites. Our bed was amazingly comfortable and we slept so well. The house is set in large grounds on the edge of the village so has the best of both worlds. There is plenty to do with bikes available, ping pong, snooker table and even an indoor sponge ball tennis court! The perfect setting for a lovely celebration weekend, thank you so much. Kids had a wonderful time running round the house and gardens in bare feet in complete safety... Can't wait to return and our nieces and nephews have made us promise to take them back.